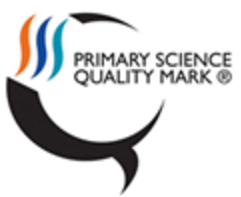 Linguamarque is a programme which supports the development of languages within Primary schools in line with the National Curriculum, Government recommendations and programmes of study. It allows schools to audit their current language provision and provides a framework on which to base future development, allowing schools to gain accreditations based on their current level of language teaching and intercultural learning. It also provides a clear progression structure, helping us to ensure that our children are able to make good progress in all areas of language learning. As a school, we chose to use the Linguamarque programme to ensure that we were providing the best language and intercultural opportunities for our children. Gaining the Bronze Award in 2016 showed that we had solid foundations in place and gave us momentum to take our language learning further. Working towards the Silver Award, which was awarded in November 2017, enabled us to build on our existing teaching and learning and expand the intercultural learning opportunities available to the children, as well as strengthening the language skills for our older children. We now have a strong scheme of work in place to ensure good language progression for the children, as well as ensuring that we make the most of opportunities to share cultural events and celebrations, such as Diwali and Bastille Day. Additionally, with other schools in the partnership also following the same programme, it provides a strong foundation for transition to our partnership high school, helping to ensure that children are leaving primary education with similar language learning experiences.